Many of us love Israel and long to learn more about this amazing country and the people who call her home. Through this blog, we have the opportunity to take a peek into the life of the citizens of Itamar, Israel. Our hope is that this "e-relationship" will be a mutual blessing for you and for the people of Itamar! With extreme pain we are sad to say that the Israeli government destroyed our beautiful hilltop neighborhood Givat Aryeh that was set up as a response to the Fogal massacre. 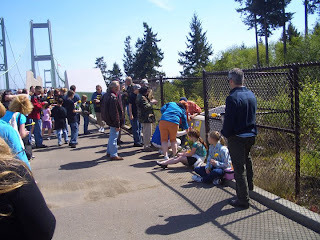 We had just finished building a small synagogue and celebrating a beautiful Torah dedication just two weeks ago. There was also a newly built home where a young devoted couple was living and four other small structures where others were living and building the hilltop. This early morning at 3:30 AM the Israeli police came with bulldozers and literally plowed down our new hill top. It is so hard to fathom that the government of Israel would be so inconsiderate and cruel in destroying the neighborhood that brought new hope to our community after the terrible murder of the fogal family. Itamar residents felt very secure knowing that there was Jewish presence living below them guarding the community on our southern border. This neighborhood was purposely set up as a strategic location to ensure our security allowing us to control the entire valley below from one guard's position. The insane act of all was to destroy the entire electric infrastructure of our new camera system thus completely knocking it out of commission and leaving Itamar again in danger of infiltration from the very same village the murderers of the Fogal family came from. Of course our spirit will not be broken and we will return and rebuild our ruins! 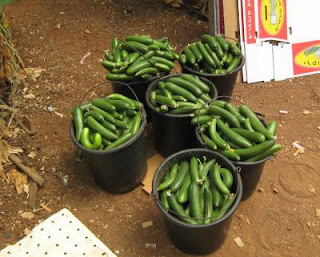 One of the important enterprises on Itamar is its organic farming please feast your eyes on the delicious cucumbers grown in Itamar hothouses. Itamar wishes all its dear friends an easy fast and G-D willing we will all merit in the building to the third Temple soon in our days! Happy Birthday Itamar - Happy Anniversay Israel! ﻿Itamar had an amazing Yom Haatzmaut celebration which included an outdoor meal and entertainment with a spectacular display of fireworks. 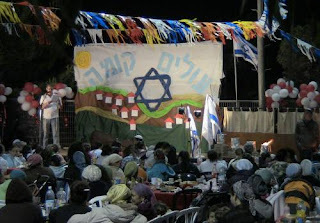 Yom Haatzmaut is the birthday of our community which was founded back in 1984. Security forces arrested two residents of the village of Awarta near Itamar, who have confessed to murdering the Fogel family last month. They acted out of Arab nationalist motives and have not expressed regret for their crime. The commander of the IDF in Samaria (Shomron) said in a video briefing, "The murderers are in our hands." Israel Security Agency (Shin Bet) lifted a gag order on the investigation of the massacre at noon Sunday (5 a.m. EDT). The terrorists were indentified as Amjad Awad, 19, and Hakim Awad 18, residents of Awarta, an Arab village neighboring the Jewish community of Itamar, where the Fogel family lived. The teenage terrorists, who are members of the Popular Front for the Liberation of Palestine (PFLP), were assisted by at least six others, four of them from Awad’s family. The massacre of the Fogels took place at night on Friday night (Sabbath), March 11. The terrorists climbed over the fence surrounding Itamar, a Samaria community, and entered the Fogel family's home. 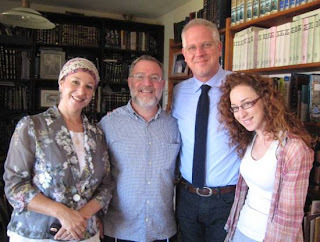 They stabbed to death Rabbi Ehud (Udi) Fogel, his wife Ruth, 11-year-old Yoav, four-year-old Elad and three-month-old Hadas. The terrorists not only expressed no regret for the brutal stabbings of their parents, the baby, and two other young children, but they also said they would have killed two other children, Roi, 8, and Shai, 2 if they had known they were in another room. The sixth child, Tamar, was out of the house at the time of the murders and discovered the shocking scene when she returned home. The terrorists told investigators that before entering the Fogel home, they went into an adjacent home, where the residents were away. The two teenagers stole weapons from the home and also took a gun from the Fogel family after the late Friday night slaughter of their victims. In an unusual decision, the family agreed to release graphic photographs of the aftermath of the murder, in order to explain Israel's situation in the face of Arab barbarism. The Prime Minister’s Office was dismayed by the halfhearted and belated denouncements issued by the Palestinian Authority after the massacre, and blamed the PA's incitement of its populace for enabling the crime. Following the massacre, the government approved the construction of 500 new housing units to be built in Maaleh Adumim, Ariel and Kiryat Sefer, adjacent to Modi’in. 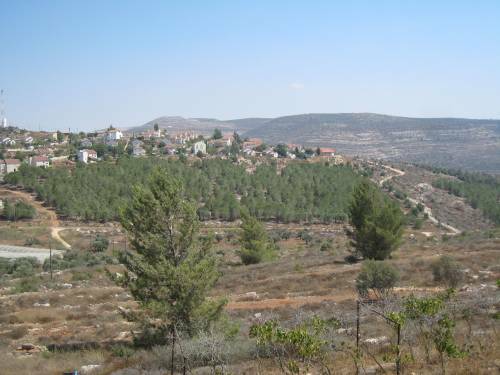 No new construction was approved in smaller communities, such as Itamar. 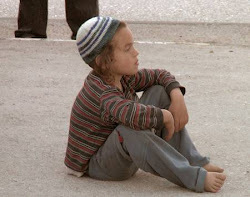 Rabbi Yehuda Ben-Yishai, the mourning father of Ruth Fogel, told an interviewer that the grandparents of the orphans will will take upon themselves the difficult task of raising them, in order to "pave for them the path so that life will be victorious."